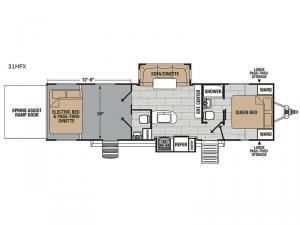 Been searching for the ultimate travel trailer to carry your toys in a separate garage? Do you need sleeping space for the kids that would enjoy their own private room? Then imagine you and your family traveling to fun destinations to ride your toys and relax in comfort afterwards. 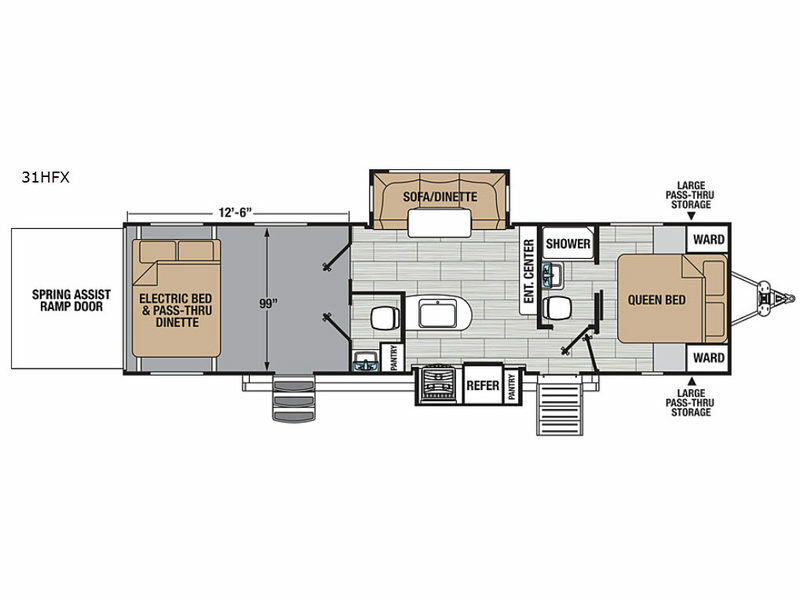 You can load and unload your off-toys in the garage which includes 12'6" of toy hauling space, an electric bed, a pass-through dinette, a side man door and a half bath. You can enter the main living and kitchen area through an exterior entry or the garage interior door. Now imagine getting cleaned up in your own full bathroom to retire to your own queen bed in the private front bedroom. This is the one!